Dream: I killed a lion. DreamsMaster: What powerful symbolism! 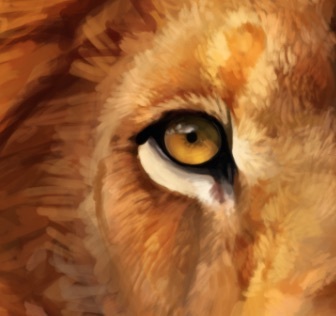 In order to determine what the dream means, start by defining what a lion represents to you personally. For example, if it were my dream, these are some adjectives I would use to describe a lion: strong, powerful, protective, dangerous, wild. Would any of those descriptions fit for you as well? What other words would you use to describe a lion? – What events led up to you killing the lion? – Were you feeling threatened by it? – Was there a struggle? – How did you kill it? Was it with weapons, or with your bare hands? – Was it a male lion with a mane, or was it a female? – What feelings did you have in the dream? Did you feel afraid, fearless, powerful? As you answer all of these questions (and any others that come to mind as you run through this exercise), watch for a theme to emerge, and then see how that theme may be occurring in your waking world. For example, let’s say the lion is behaving in a threatening manner. One possible theme could be: I’m feeling threatened by someone or something I perceive as being very powerful and needs to be destroyed. But I am more powerful than the other, who is not really a threat after all. Finally, once you’ve reached some satisfying conclusions about the symbolism of the lion and the theme of the dream, ask yourself, where in your life does this fit for you? Is there a [powerful, strong, wild] person in your life that you perceive as a threat that needs to be eliminated? Or, is there a [powerful, strong, wild] part of yourself that you consider threatening and feel the need to subdue?